As we know brokers now will have to register and obtain their brokerage licence before making any property sales. On May 1, 2017, the Real Estate (Regulation and Development) Act, 2016 (RERA) became effective in India. The act is expected to revive confidence property buyers have on realty sector by making builders and property brokers more accountable for delivering projects on time. 1. Many developers have gone back to their drawing boards and are in the process of re-planning big township projects. Developers are dividing projects, which are spread across hundreds of acres, into multiple phases with each phase having its own set of amenities. 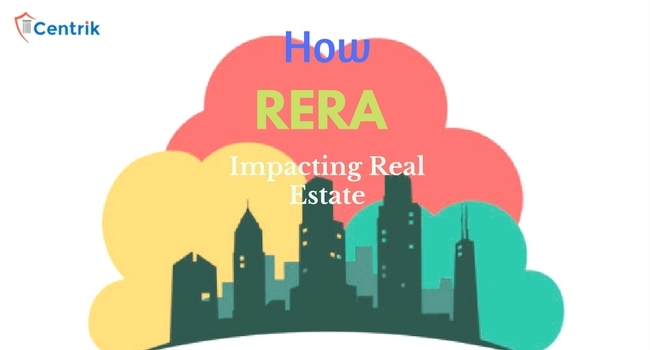 These different phases would be registered and marketed individually to ensure proper compliance with RERA. Different phases would act like individual projects and this would help developers deal with multiple project execution hurdles like time taken for government approvals, long term project financing, construction delays etc. 2. Some builders with good cash flow and steady funds have also announced their plans to either switch to build and sell model or start selling when the project is close to completion. This would not only reduce risks associated with project delays, but builders would also be able to sell units at better profit margin. 3. RERA not only makes developers but also real estate brokers liable for the sales they do. Brokers will now have to register and obtain their brokerage licence before making any property sales. The regulator has a right to reject or cancel broker’s licence. This process would not only make the broking business more organised and evolved, but would also act as another screening for buyers as now brokers would be diligent about the information they are giving to buyers before selling any property. Hence brokers will become buyer-centric and property transactions will be transparent. 4. Real estate market won’t witness many new launches in the next two-three quarters as developers would take time to align their businesses and funds as per the new norms. This would affect future inventory in the market. With stricter norms like restriction on use of cash flows via a separate account, sales based on carpet area, restriction on pre sales, restriction on sale of open car parking, cost of maintaining monthly updates and web pages etc. the overall cost of real estate developments are expected to increase, which is likely to result in increase in property prices in the future. Also, developers would be facing a tough time trying to bring their under-construction projects under RERA, arranging funds that they have already diverted complying with new norms and sticking to project time lines. On a positive note this is expected to increase the supply for ready to occupy units in the next 6-8 quarters. 5. The real estate market would witness consolidation and only builders with good financial standing would be able to sustain. This would also help in making property transactions safe for buyers. One of the long-term outcome of this would be reduced competition in the market and hence increase in property prices. Today many small and mid-scale developers offer projects with fewer amenities at lower rates, giving buyers more options to choose from. It is recommended that buyers tread with caution for lucrative deal and offers on the on-going projects from builders who are yet to register under RERA.